Photo of the Week. Lyra, the Lyre, rises in spring skies with the brilliant star Vega up and to the left of the familiar parallogram of fainter stars. 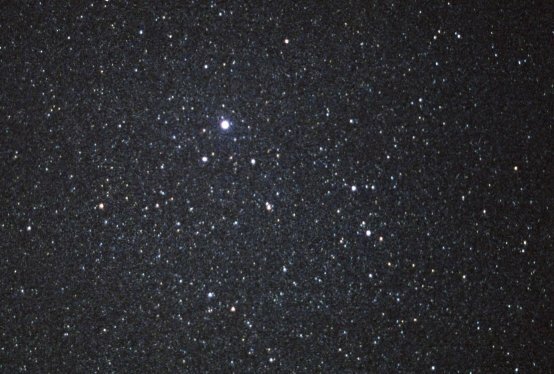 The famed "double-double" Epsilon Lyrae is down and to the left of Vega. Astronomy news for the week starting Friday, April 25, 2008. 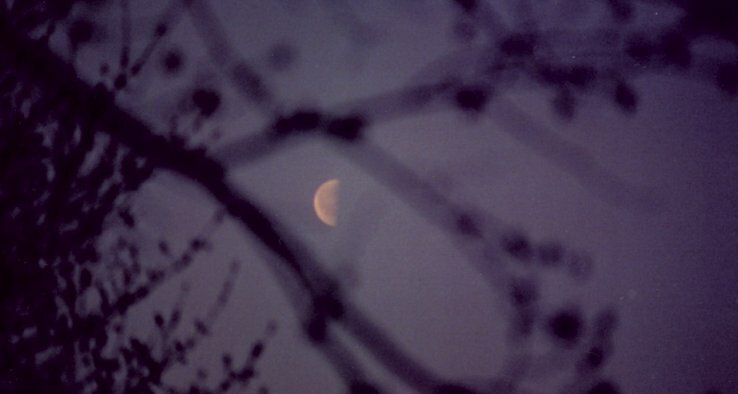 This is the week of the last quarter Moon, the phase taking place on Monday, April 28, after sunrise. 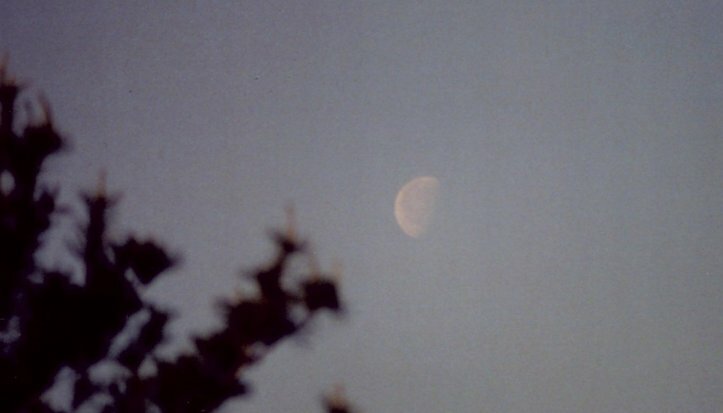 If you are an early riser, you can see the Moon in the morning hours just slightly before the formal quarter. Earlier in the week, the Moon takes on a slightly gibbous appearance, while in the later days it slims as a waning crescent. The morning of Saturday the 26th finds the Moon within the confines of the Little Milk Dipper of Sagittarius, while the following morning, that of Sunday the 27th, the Moon will make a nice pairing with Jupiter, passing around three degrees -- the width of Orion's Belt -- to the south of the giant planet. On Tuesday the 29th, the Moon will make a close pass to Neptune, while on Thursday May 1, it takes on Uranus, though neither event is visible in North America. While Gemini slips a degree per day to the west (when viewed at the same time of night), Mars, in the central part of the constellation, is moving half a degree in the opposite direction, allowing it to maintain a nice evening position in the western sky as the days go by. The motion of the planet is easily seen over just a few-day period relative to Castor and Pollux, which appear above and to the right of it. 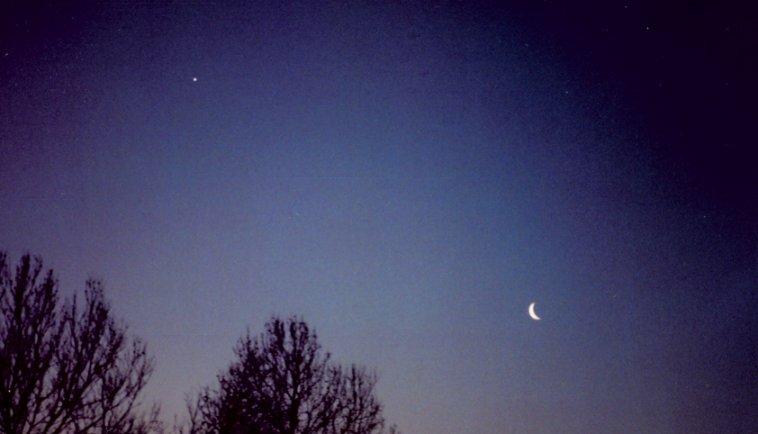 On Monday the 28th, the planet will pass five degrees to the south of the latter star. The evening is also a fine time to admire Saturn, which transits the meridian now in mid- twilight and is about as close to Leo's Regulus (just to the east of the star) as possible, and 2.4 times (not quite a full magnitude) brighter. Mars then sets just before 2 AM Daylight Time (just after bright Jupiter rises in the southeast), which is followed by the 3:30 AM setting of Saturn. Back into the evening, by the end of the week you might spot Mercury in twilight just below the Pleiades of Taurus. It will make a better appearance next week. Welcome to May, and May Day (and May Day Eve), an astronomical holiday of sorts, a "cross-quarter day" like Groundhog Day and Halloween that mark the half-way points between seasons. Summer is fast approaching. With the Winter Triangle of Betelgeuse, Procyon, and Sirius now effectively gone, it's time to begin to admire the Summer version of Vega (in Lyra), Deneb (Cygnus), and Altair (Aquila), which can be seen nicely climbing the eastern sky after midnight.